Hardcover, 8.25 x 10.75 in. / 172 pgs / 116 bw. Edited by Alec Mapes-Frances, Stephen Squibb. 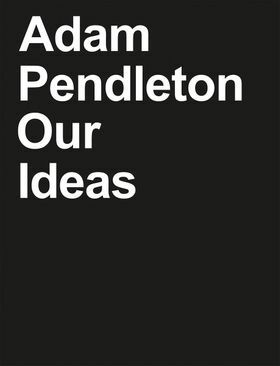 Text by Adam Pendleton, Suzanne Hudson, Alec Mapes-Frances. Contributions by Yvonne Rainer, Adrienne Edwards. 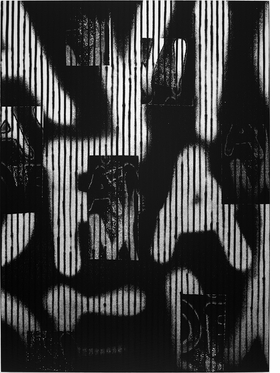 The work of New York–based artist Adam Pendleton (born 1984) is animated by what he calls “Black Dada,” a critical articulation of blackness, abstraction and the avant-garde. 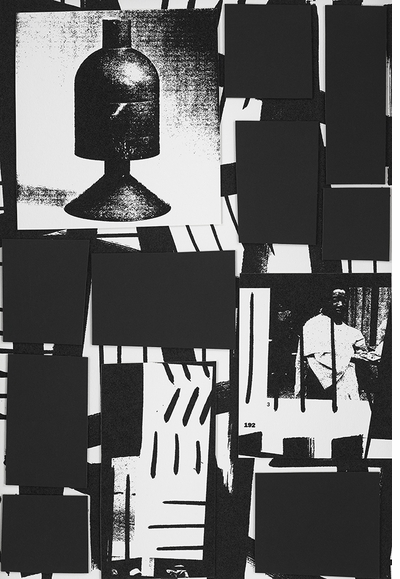 Drawing from an archive of language and images, Pendleton makes collages, paintings, videos and other objects that seek to reconfigure received histories of culture. 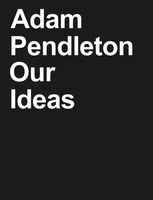 This catalog, accompanying Pendleton’s 2018 solo exhibition at Pace London, brings together new work from his various ongoing series: the Black Dada paintings and drawings, System of Display, Untitled (A Victim of American Democracy), paintings and wall works, a video portrait of Yvonne Rainer and a monumental group of 68 works on Mylar, in which certain recurring features—photographs relating to modernism in Africa, ceramics and African masks, fragments from the pages of books and Pendleton’s own drawings—are recombined with cut-up phrases and marks, weaving contemporary and historical references into a single body of work. The book includes a text by the artist, essays from Suzanne Hudson and Alec Mapes-Frances, and a conversation between Pendleton and Rainer, moderated by Adrienne Edwards. 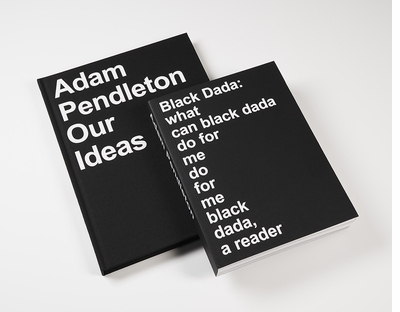 Tuesday, February 26 from 7–10 PM, Pace Gallery presents Adam Pendleton reading from Our Ideas and Black Dada Reader at Mast Books, followed by a conversation and book signing. This event is free and open to the public. No RSVP is required. FORMAT: Hbk, 8.25 x 10.75 in. / 172 pgs / 116 b&w.